Get ready for chilly days and cold nights with the best Frozen Window Photo Frames! Are you one of those people who love winter and can’t wait for snow to fall? Don’t you love it when holidays come and everyone is happy? There is nothing better than this time of the year and now you can have pictures that match the weather. Suit your photograph into a photo frame with frost and watch beautiful patterns that ice have made. It will look as if someone had painted them and you will definitely have a unique image. 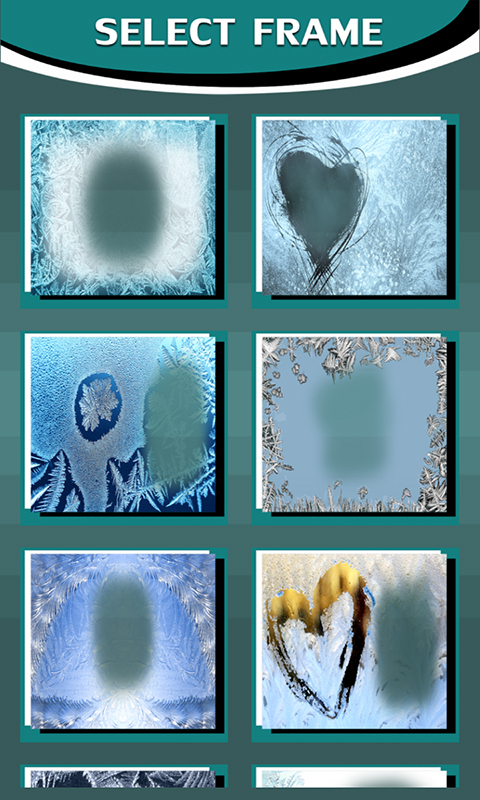 All you have to do to access this kind of background is to download the latest Frozen Window Photo Frames app on your smartphone. 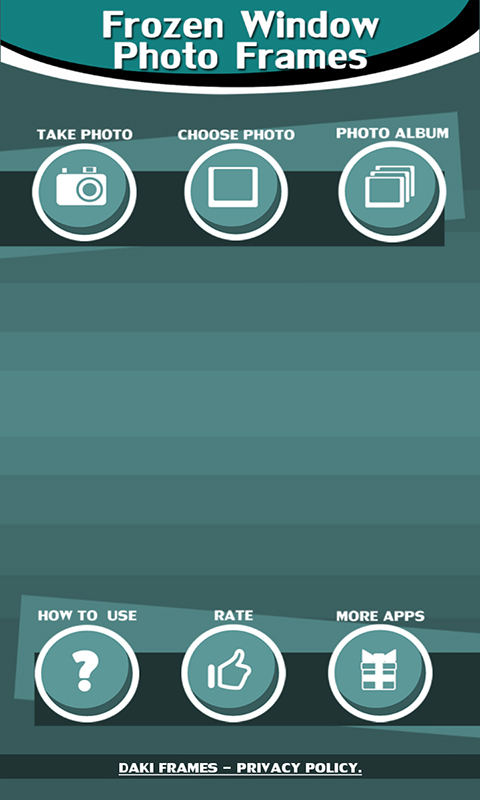 This popular photo editor is absolutely free of charge, so there’s nothing stopping you from using it!